iOS is the operating system that has been developed & distributed exclusively for Apple hardware and runs on apple devices like iPhone and iPads. You can install the apps from the app store. iOS applications can be developed by xCode. It uses IOS SDK to build the iOS applications. ShareSoft Technology offers robust, scalable, user-friendly iPhone mobile applications that will enhance your business. Our expertise in mobile app development and our unique approach says it all for delivering you a best-in-class app. “Analysis” and “Clear-cut Communication” are the top skills required for any development company to reach Success. We excel in it. Our developers are excellent analysts who can get your requirements clearly and analyze its feasibility in all aspects, say it – market trend, technology, cost, UX and UI. Once you decide to reach us, you can get to know your project is in safe hands. Based on the requirements and concept along with the feasibility study done, the actual design & development process starts here. With the SRS document file in hand, we design the app wireframe, post the mockup approval, your app design with perfect UI is ready to be coded with UX in mind. 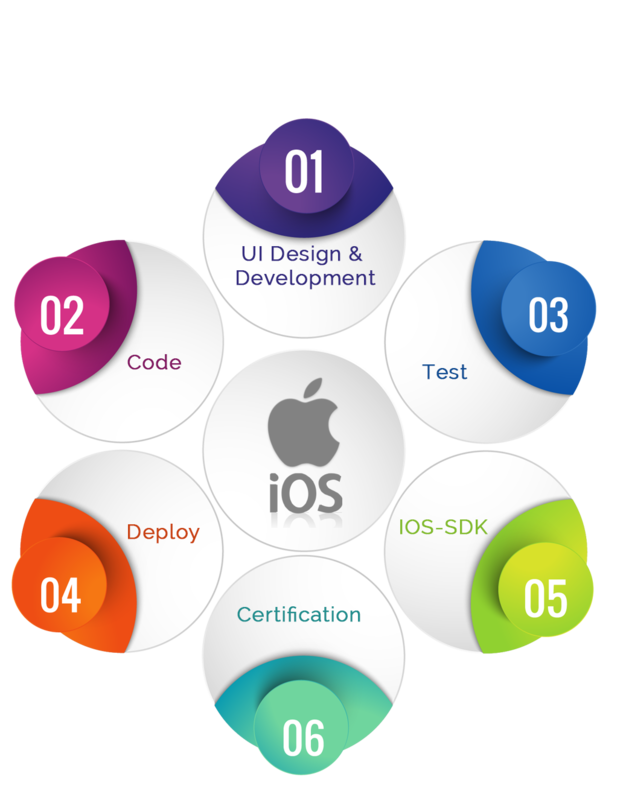 Our talented iPhone app developers master in Apple’s developer tools and Apple’s technologies that helps us to deliver you a risk-free, secure and bug-free mobile application developed by following all the guidelines of the app store that makes the submission easier. We communicate with our clients at every stage of the development process, take approvals and make it sure we are in-line with the commitments. Post the testing phase, the app will be submitted to the client. We also assist the clients from the App submission process, sit with them and provide support if changes are required till the launch of the App. Our digital experts promote the App by conducting the audits, setting up the strategy and execute them by creating awareness on multiple channels. Our Lead generation digital efforts will enhance your visibility, app downloads. Have an idea to develop an iPhone App? Post your requirements. More questions in mind? Don’t worry; Consult us now for all your iPhone app development queries.